Welcome back to the podcast – this episode we are all just a very big bit excited about Edinburgh Yarn Festival. 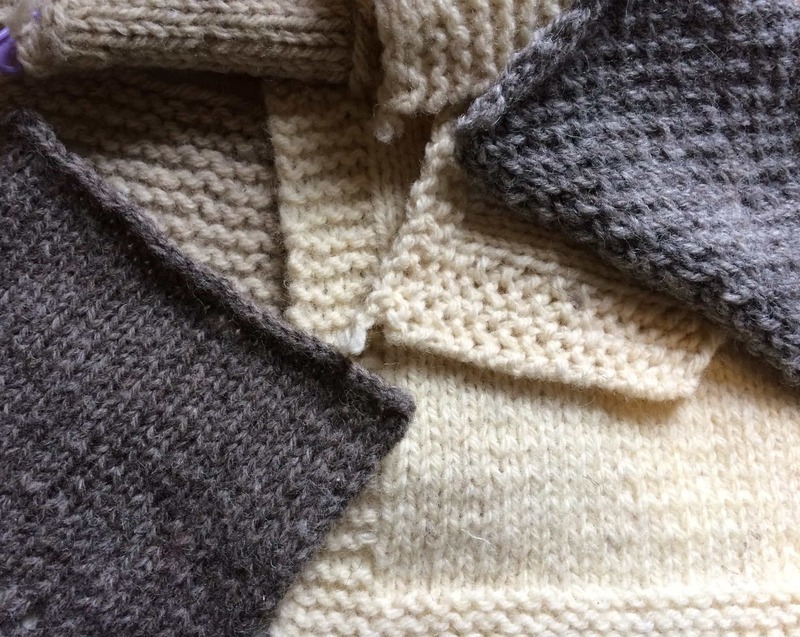 I’m so excited about the amount of British wool represented at EYF this year. I’m giving you a run down of those I’m excited to be seeking out. If you can’t visit Edinburgh, all of these yarn companies have online shops, so visit the links below. Fact: It was Uradale Wool I was knitting with when i decided to Knit British! Update:I mention Black Bat Rare Breed in this podcast, but they are now unable to attend. What is on your EYF shopping list? I’ve been procrastinating and made a pinterest board! If you like to plan out your own shopping, look at the great print-out The Little Grey Girl (stand g4) has made to make that a bit easier for you. | NEW BLACKER YARNS RANGE: Samite Preview! Samite is our homage to the history of textile manufacturing. With fifteen shades inspired by the pre-Raphaelite and Arts and Crafts movements, and colour names selected from late nineteenth century poetry, we wanted to pay tribute to the value Victorians placed on unique and thoughtfully crafted objects. The very special silk content of Samite inspired us to name the range after the opulent woven silk fabrics produced in Medieval Europe. This truly is a yarn for creating heirlooms. Its 3-ply thickness requires time to work up, but Samite will repay your dedication with a strikingly unique garment that lasts. 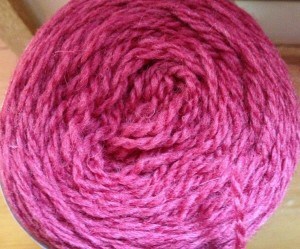 It will be available as a 3ply, 100g skeins/460 metres. You will need to listen in, as usual, for my full review. Ensure you sign up to Blacker’s newsletter so you know when Samite hits the shop. dont they look like gemstones? Sonja is also going to give two short sessions in the Podcast Lounge (4pm both days) where you can get an up close squish of these yarns and ask any questions about the range. The KAL ends on Saturday 4th ! I cannot believe the amount of awesome work we’ve seen in this KAL – Just look at our FO threads. Don’t forget we’re having a meet up at EYF on Saturday 11th at 11am and if you cannot come to EYF remember and post your FOs in the FOMO thread, as we will be having a draw after EYF for a woolly prize. Those wearing there KAL items at EYF will get 15% off at the Blacker stall. I hope you will be able to come up to the Lounge and say hello! If you are in the KB Ravelry group jump into the thread about EYF there and tell us if you are gonna be there. The podcast is back later this month and I will be looking at Jen Arnall-Culliford’s A Year of Techniques, there will be a giveaway and you will meet our first mucker sponsor! I love how you describe yarn! Another great episode – and yes I am ever so slightly jealous of everyone going to EYF – I will make it one day but for now somebody has to feed the kids 😉 Thank you for reviewing Blacker Samite – I am really looking forward to trying this yarn. Blacker quality and silk you don’t have to feel bad about, this is going to be awesome!!!! I hope everyone going to EYF is going to have a brilliant time! Such a brilliant podcast! You’ve inspired me to sort out my stash and plan my projects. I hope everyone has a lovely time at EYF, I wish I could go! Next Postdestined to be felled by yarn fumes?